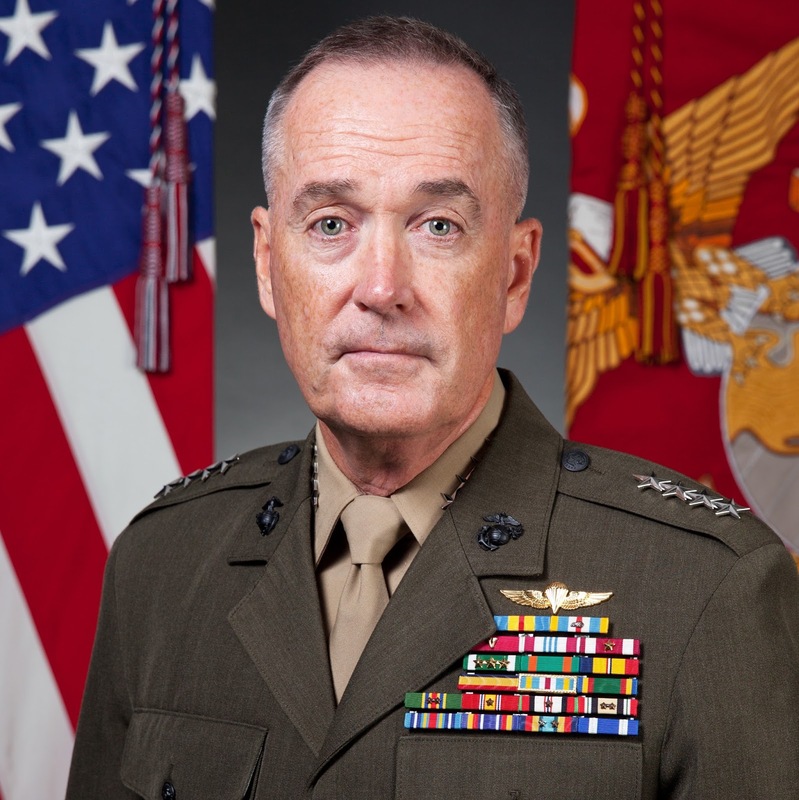 WASHINGTON, DC -- The nominee to be the next chairman of the Joint Chiefs of Staff said Thursday that Russia poses the greatest national security threat to the United States and that it would be "reasonable" to supply lethal arms to Ukrainians fighting against rebels backed by Moscow. "Russia presents the greatest threat to our national security. ... If you look at their behavior, it's nothing short of alarming," Marine Gen. Joseph Dunford said during his confirmation hearing before the Senate Armed Services Committee. Relations between Russia and the West have sunk to post-Cold War lows after Moscow's annexation of Ukraine's Crimean Peninsula and its support for a pro-Russian insurgency in eastern Ukraine. The United States has responded with sanctions but so far has refrained from providing lethal arms to the Ukrainian forces. Asked if the U.S. should provide lethal arms to Ukraine, Dunford said that from a military standpoint, it would be a "reasonable" response. "Frankly, without that kind of support, they are not going to be able to defend themselves against Russian aggression," Dunford said. That comment was welcomed by Sen. John McCain, chairman of the chairman. "In Europe, Vladimir Putin's Russia continues its onslaught in Ukraine," said McCain, R-Ariz.
"But even as Russian troops and equipment execute this neo-imperial campaign to undermine Ukraine's government and independence, the United States has refused Ukraine the weapons it needs and deserves for its defense." Before the hearing, Dunford provided written answers to a broad range of national security questions posed by the committee that were obtained by The Associated Press. Dunford said the U.S. and its coalition partners are making moderate progress in the fight against the Islamic State extremist group but that the strategy should be re-evaluated if efforts to improve governance and build reliable local ground forces stall. He said that if confirmed by the Senate he also wants to assess whether the U.S. should focus more on IS' "shifting geographic reach" and confront the militants where they are now and where they are most likely to go in the future. McCain has voiced sharp criticism that the U.S. has only 60 trainees in a program to prepare and arm thousands of moderate Syrian rebels in the fight against IS militants. Dunford said the progress in training is "much less than what we estimated" and attributed the low number to a rigorous vetting process. He said that without talking with commanders on the ground, he could not provide further insight into the problems. There are no U.S. troops in Syria, but about 3,300 U.S. forces are training and advising local security forces in Iraq. The Iraqi military, which was equipped and trained by the United States, has struggled to recover from its collapse a year ago when IS militants captured the country's second-largest city, Mosul, and swept over much of northern and western Iraq. Since then, IS has seized control of Ramadi, the capital of Anbar province in western Iraq, and other key terrain in the region. The loss of Ramadi, Dunford said, was a tactical setback that shows how agile and adaptive IS has become. But he said the U.S. military and the Iraqis have learned from that loss. Dunford repeatedly says he will take time to assess the programs and promised that one of his first trips, if confirmed, would be to Iraq and the region. Asked if the number of U.S. troops in Iraq is adequate, Dunford said is it enough but that "as conditions change on the ground, it may become necessary to adjust how we implement the military campaign." More broadly, Dunford expresses deep concern about the effects of continued budget cuts on the military, particularly as complex security threats expand to include challenges from Russia, China, Iran and North Korea along with counterterrorism fights across the Middle East and Africa. Defense spending bills moving through Congress call for padding a war-fighting account, which is not subject to congressional spending caps, known as sequestration. "Quite frankly, if we go into sequestration we will be unable to support the current strategy that we have to protect our nation," he said, adding that the combat readiness of U.S. forces "will suffer what I would describe, and without exaggeration, as catastrophic consequences." Dunford, who until last year had been serving as the top U.S. commander in Afghanistan, also says that he is willing to recommend changes in the size and pace of the troops withdrawal in that country if security conditions get worse. He notes that as Afghan forces assume full responsibility for their nation's security and coalition air support there declines, there will likely be a greater demand for other U.S. support including intelligence gathering, airlift and casualty evacuations.